The Market Research Event is the most comprehensive conference in the world designed exclusively for executives in market research and consumer insights. With more than 150 sessions and 175 speakers, this is truly the one conference in the world that covers every business critical topic so thoroughly and thoughtfully, there is never a need to look anywhere else. In 2011, we scoured the earth to bring the very best in insights together for 3 days. The representation of voices from around the world benefits everyone, including our US based constituents – giving you the greatest representation of global perspectives. Download the brochure to see for yourself why more than 600 people have ALREADY signed on to attend. Register by July 15 to Save $600 off the standard & onsite rate to join us for the biggest and best event yet. Mention priority code TMRE11BLOG. Register here. If you have any questions about TMRE 2011, feel free to contact Jennifer Pereira at jpereira@iirusa.com. Today, June 30th, marks Mashable’s Social Media Day, “A day to celebrate the revolution of media becoming social.” This second annual celebration will be commemorated by hundreds of worldwide social media meetups, an no doubt a fair amount of online buzz. It’s perhaps appropriate then that this week marks the official debut of Google’s new social product, Google+. Introduced in this blog post and a series of videos, Google+ is a family of apps designed to capture and synthesize the best of the web. It includes mobile applications such as photo sharing and location-based tagging that connect you to friends like Instagram and Foursquare. The group functionality for sorting different aspects of your digital life looks more streamlined then the new Facebook groups. And then there’s “+Sparks,” which looks like it could bring together fans of different topics in much the way hashtags on twitter, or tags on tumbler allow users to find one another. It’s easy to get swept up in the idea that this could change the face of the internet. Personally, I found myself laughing at the repeated use of the “Epic Bros” group name, it certainly makes the product seem human and approachable and like something I could see using. But with the quiet failure of Google Wave not so far behind us and privacy concerns from Google Buzz another black mark on their record, I’m hesitant. Will Google be able to find that white space? Will users be afraid to allow Google so much access to their personal information? We’ll certainly be looking forward to seeing what happens in this space. Did anyone get in on the early release? What do you think? Today, our guest post comes from Peter Gold, the CEO of Veraquest. His broad range of research experience lends itself particularly well to the world of omnibus research where clients tend to have an extremely diverse set of needs. Peter’s background as a practice leader has enabled him to develop a business model that is rich in client-centric benefits while simultaneously being very cost-effective. Peter earned a BSBA from the University of Florida and holds an MBA from Boston College. 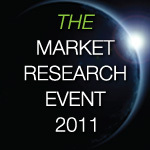 His company, VeraQuest is a Sponsor at this year’s The Market Research Event. Stating the obvious these days, the social media personalities of your key audiences have become as critical to marketing and sales as standard demographics are. As discussed in many a blog post (including one of ours entitled Game Changer from May 5th, 2011), there has been a lot of research to date that describes how often adults use social media, but we here at VeraQuest are equally interested in the how. Recently, we conducted a study to begin to uncover the kinds of personalities and interactions people have in the social media-universe. Our inspiration was a white paper written by one of our partners, the Council of Public Relations Firms. The paper served as the springboard for designing our questionnaire, though different than the Council, we aimed to segment the social media world into 5 broad ‘ but mutually exclusive ‘ categories. ‘The Architects (about 21% of online adults): You land in this group if you are on the Internet constantly, routinely drafting original content by either posting your own blog entries or commenting or critiquing others. We guess that your home page opens up to Facebook; you update your status every time your cat successfully takes her medicine; and you post photos of your vacations before you even unpack. This group is more heavily female and so by extension more likely to be homemakers and have kids under 18 in the household. The Architects also tend to be younger ages 18-40 (especially Gen Yers ages 18-29) so not surprisingly they are also more likely to be students and have household incomes under $25K. Also interesting, this group has a higher percentage of Hispanic adults, those who have not yet attended college, and those who are unemployed. So it appears the defining feature here may be that the Architects as a group tend to have more time on their hands. ‘The Creators (about 24% of online adults): You are a member of this group if you love but are not daily-obsessed with the online world (like the Architects are). You are comfortable creating your own original content and posting it on the Internet, but you don’t necessarily do so every day, only if you are truly inspired or if the mood strikes you. Perhaps you’ve already commented about how that guy on American Idol was totally robbed of his one shot at super-stardom; or perhaps you wrote in to your local online news-mag to complain about environmental waste. This group is also younger (ages 18-39), however not quite as young as the Architects, and appears to have more students and single adults than the three other groups do. However, different than the Architects, the Creators are more likely to have a college degree. ‘The Correspondents (About 19% of online adults): You know who you are because you don’t put up any original content of your own on the web, but you willingly (happily?) forward to anyone you have ever met that hilarious joke about ‘the big 6-0′ ‘ or ‘ the youtube video of the guy sinking the amazing basketball dunks ‘ or ‘ the detailed info about the charity race in town. And you store anything you find on the web that seems even somewhat appealing because you never know, you just might want to use it some day. This group is more likely to be female and older (ages 50+), and therefore unsurprisingly, less likely to have kids under 18 in the household. Also of note, the Correspondents are more likely to have graduated from college, to have incomes exceeding $100K and to be married. ‘The Spectators (About 14% of online adults): You know this is you if you signed up for Facebook eons ago but the photos of your now-pre-teen kids still show them wearing floaties in the swimming pool and getting off the bus on their first day of kindergarten. You are happy to view content on the Web but it’s not your style to regularly post any of your own or even to forward someone else’s. You would never dare to comment on another person’s blog or wall or status, perhaps because you are too busy or perhaps because you fear being criticized right back. The Spectators are more heavily male than the other groups are and also more likely to be in an older age bracket (i.e., 50+). As such, they are less likely to have kids under 18 in the household and more likely to be retired. Like the Correspondents, they are more likely to have graduated college and to be married. ‘The Bystanders (About 22% of online adults): You fit into this group if social media isn’t your main or even secondary way of staying in contact with the outside world. You spend some time online but Facebook is alien to you; you say Twittering; and you still get your news from an actual newspaper. This group is more likely to be ages 50+, and by extension be retired and not have kids under 18 in the household. Also of note, this group has a higher percentage of adults who have not attended college, are African-American and/or have incomes less than $25K. The Bystanders are also less likely to live in the Northeast. However, what we find most interesting about this continuum is not the demographic but the psychographic profiles of these categories. As online adults become more active in the social media-sphere and move along from Bystanders to Architects, they appear to have a more positive attitude about the impact social media has had on the world. And personally, they are much more likely to say they are well-informed about the world and current events; express general happiness about their life; and feel strongly connected to their community. Can you sell your product in 160 words? If you can’t, you should begin to find a way to. At Coherent Social Media, they look at the World UNPLUGGED study that shows that news travels to the younger audiences these days via tweets, texts, Facebook and Google Ads. In short, news finds the younger generation and generally in only 160 character bursts. Only if the subject personally engages them does the reader follow through and read the entire article. How can you work with the younger generation and reach them in a personal way? If your content isn’t relevant and engaging, they are unlikely to retweet or repost it to their networks. 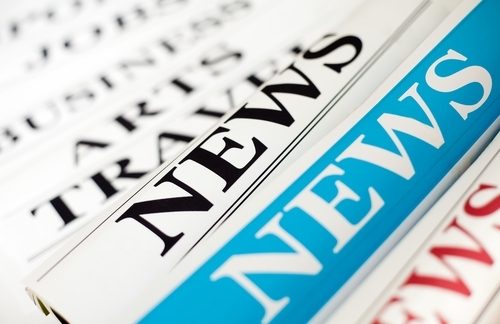 As we know in social media, the best way for news to spread is via word of mouth. TMRE is running a contest this week. We’re less than 100 followers from 1,000 on Twitter. Our 1,000th follower receives a $50 American Express gift card. Follow us and good luck! Creating a customer centric culture is essential to businesses of all sizes today. And being customer centric means the entire organization must be aligned. The challenge and opportunity to leverage disparate sets of information into strategic action is a shared responsibility and priority across the board. That is why creating a customer centric culture should be on top of everyone’s priority list across the organization. Join John Cushman, Vice President of Business Marketing, AT&T at the Total Customer Experience Leaders Summit, taking place October 3-5, 2011 in Phoenix, Arizona as he delivers his keynote presentation: Creating a Customer Centric Culture In this presentation, John will provide attendees with a behind the scenes view of how AT&T is blending people, processes and new technologies like social media, to improve its own B2B customer experiences. Tips on ways to link various touch points in the LEARN-BUY-GET-USE-PAY-SERVICE Customer Continuum will be shared. You will also learn how to: ‘ Create a Customer Centric Culture ‘ Identify areas of opportunity ‘ Track ROI and measure success In addition to AT&T, the following companies will also share their inside stories on Measurement & ROI, Data Performance, Operational Metrics and Social Media CRM. Kelley Blue Book, CVS Caremark, Verizon, AAA Northern California, Rockwell Automation, J.D. Power & Associates, Maritz Research, CPI Card Group, Customer Experience Partners, Customer Bliss, EMC, Forrester, Expedia, Allstate Financial, Peppers & Rogers Group, Pfizer, FedEx Corporation, GE Healthcare, Microsoft Corporation, and more. The Total Customer Experience Leaders Event Team Visit the event webpage. The Market Research Event is the only market research conference in the world that regularly conducts extensive research with hundreds of insights executives. This ensures that EVERY deserving topic area is covered on the agenda so thoroughly and thoughtfully that there’s never a need to look anywhere else. With more than 175 of your peers speaking on the program, you can create a personalized agenda that addresses your most critical business issues. For more details on the TMRE 2011 agenda, download the brochure. Can Africa achieve a state of mobile research? 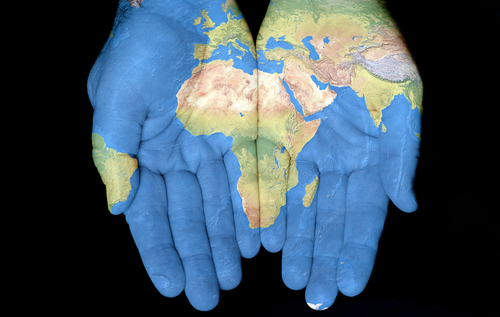 Africa is developing, and could become a great place for companies to expand into. With expansion comes a need for market research, and companies will have to consider several things before starting that. General problems also exist, such as frequent telecommunication failures and low literacy. The content with over one billion people and the size of China, the USA, India and Europe combined, cultures and languages are a huge barrier. 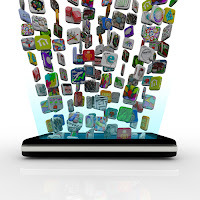 Mobile would be the key to research. Many Africans do not have PCs, but they do have mobile phones. This gives its citizens opportunities to participate in this type of research. For more on Mobile Market Research in Africa, visit RW Connect. Has your company done market research in Africa? Was via mobile or another form? What advice do you have for colleagues potentially researching in an African nation? A May 2011 study by Saatchi & Saatchi found that of US internet users ages 18 to 44, 50% play social games on a daily basis. Given discussions of social gaming trends that occurred at this year’s Social Media and Communities 2.0 conference and the much-buzzed about potential of a Zynga IPO, social gaming is certainly a hot topic right now. The idea that game players are willing to view advertising or perform market research within the context of a game is a very attractive one to marketers. The full presentation is still available for archived viewing, watch it here. Given these new findings, would you consider advertising with a social game? Or developing a social game as part of your digital strategy? Have you seen any other recent research on these topics? Share with us in the comments or find us on twitter @Community20. Currently, only 12% of the US population has a tablet they use for internet browsing. AdAge Media Works’ recent study found that it could increase to as much as 23% of the population but the beginning of 2012. While the internet has become the place to find anything and everything for free, it seems that tablet users have a different mentality when using content. Tablet spending came mostly through the purchasing of Apps, and the average App Buyer last year spent $53 dollars. 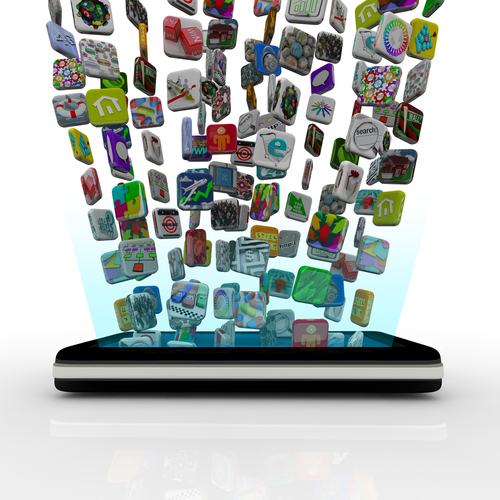 According to the study, 93% of tablet users purchased Apps. What does this transition mean? Is it significant that users are more willing to pay for content on a tablet as opposed to the internet? Will companies such as the New York Times, who started a a Paid Content Model, benefit in the future? It’s not breaking news that Apple tends to evoke strong feelings amongst their customers. Indeed, “Apple has led the market for the past few years as one of the most innovative, most loved, and most powerful companies and brands in the world.” according to stock market opinion and analysis website Seeking Alpha. It’s not just the products building Apple fans. So what is it that Apple is doing right to generate this sort of emotion in its customers? What can we learn from Apple’s customer experience successes? This blog post points out ways to translate Apple’s innovation to the restaurant industry, and it’s easy to see how a corporate culture that balances innovative ideas with highly coordinated in-store experiences can extend to any industry. What do you think of these inside views of Apple’s training policies? Will the public learning of this negatively affect perceptions of the Apple experience? Share with us in the comments!